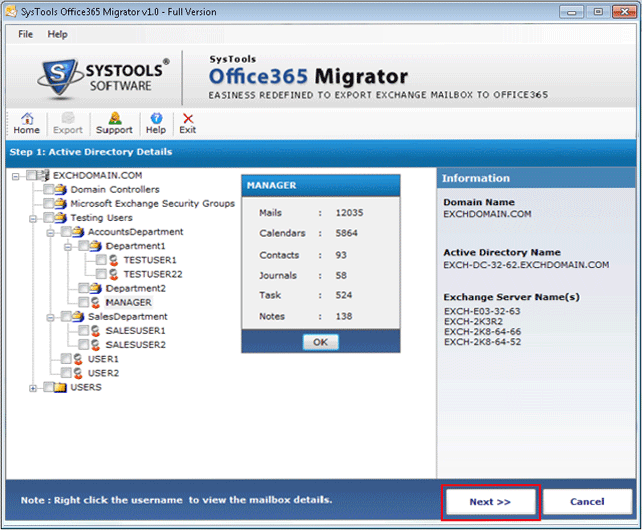 Exchange to Office 365 migration is a complete solution to move Exchange mailboxes to Office 365 account. 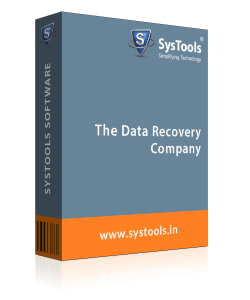 The tool is designed in such a manner that it guarantees a high success ratio while migration. Move all items of mailboxes i.e. email, contacts, tasks, notes, calendars etc. Exchange EDB to O365 converter Software supports Microsoft Exchange Server 2016, 2013, 2010, 2007, 2003 & other below versions. With the help of Exchange Mailbox to Office 365 Migrator, one can export multiple mailboxes from Exchange EDB to Office 365 user account at once. 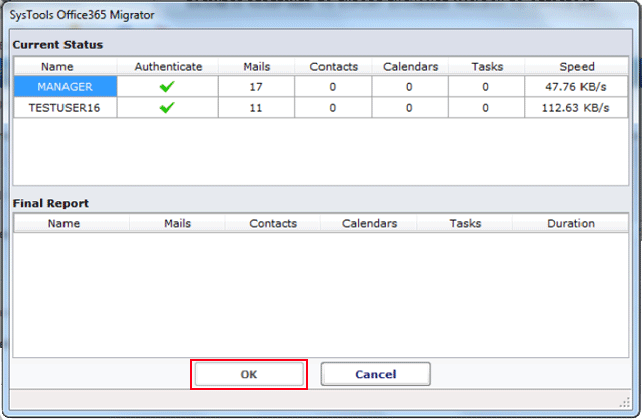 In addition, there is no limitation on a number of mailboxes that can be migrated to OWA account. However, it is possible to move mailboxes in the respective O365 user account via mapping option. When a user runs the Exchange On-Premise to Office 365 Migrator application and click on the Export button the tool run the Active Directory console of the Exchange Sever. This will display all details of Active Directory such as number of mailboxes available in it, number of all the items present in a particular mailbox. A user can export any number of Exchange .edb to Office 365 user account using this software. In addition, the Exchange to Office 365 Migrator also provides the user an option to move data of one mailbox to the respective user account. For this, a user needs to provide the O365 account credentials of every user that corresponds to the respective Exchange mailbox. When a user export Exchange mailbox to Office 365, the tool will export all data items by default. For example, emails, notes, contacts, tasks, calendars etc. However, if a user wants, then he/ she can move only selective items also. One just needs to check or uncheck the data items before migration and export only that items into Office 365 account. After migrating all data from Exchange Server to Office 365 user account, the Exchange mailbox will be of no use. 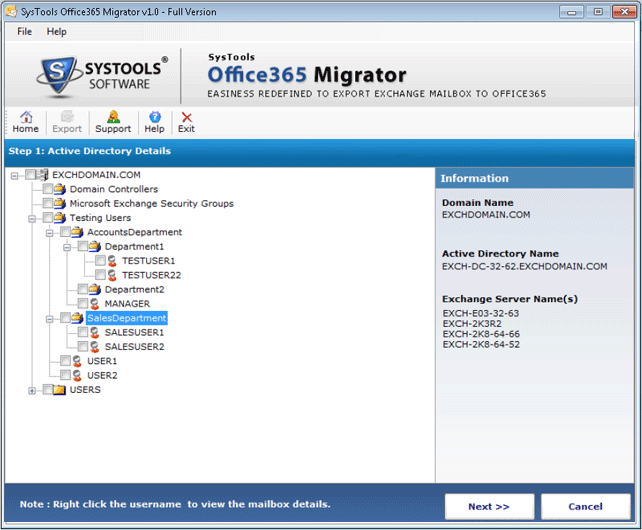 Therefore, in this case, the tool provides users an option to 'remove or permanently delete' emails from the Exchange mailbox after migration. If a user wants, then he can check this option during migration process. While migrating data from Exchange EDB to Office 365, one can use email filter also to export only selective messages. 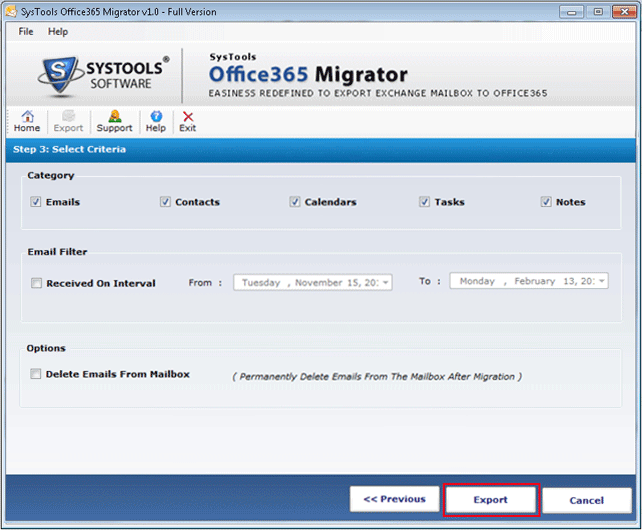 A user needs to specify the date range in "To" & "From" field and the tool will export only that emails during migration. However, one can use this date-based filter only for emails not for all mailbox items. User system is in the Exchange Server Domain. Confirm Active Directory Server is ON. Confirm Exchange Server is ON. Step 8: When the Exchange Mailbox to Office 365 migration completed successfully, click on the OK button. 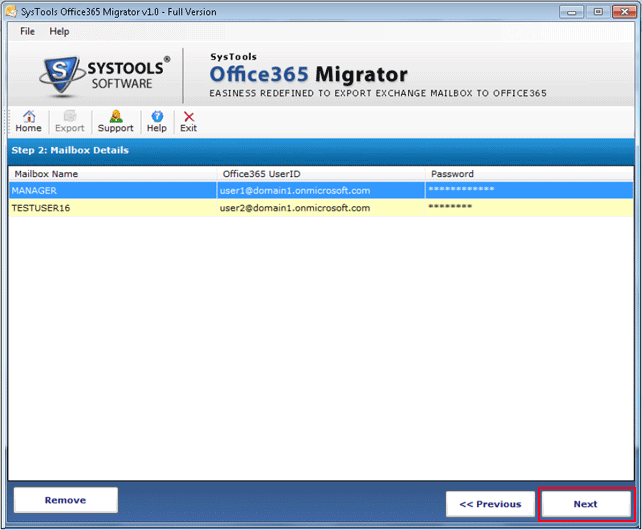 Is it necessary to put login credentials to migrate from Exchange Server 2010 to Office 365 account? Yes, a user must enter a valid user_id & password of Office 365 account to perform Exchange to Office 365 migration successfully. In addition, your login credentials will not save in software database. It is only required for the migration purpose. Can I switch Exchange 2013 Mailbox to Office 365 account without having Live Exchange Server environment on the system? No, Microsoft Exchange Server must be active on the local machine to export mailbox data successfully. Is it possible to export only emails from a particular Exchange 2003 mailbox? Yes, one can easily migrate the data from a particular Exchange 2003 mailbox by category wise also like only emails, contacts, tasks etc., to Office 365 user account. Note: Exchange Server to O365 Migration Software will get delivered on your registered email id, within few minutes after placing the order. For me, migration process has never been an easy task to accomplish. However, Exchange to Office 365 Migration tool completely changed my thinking. 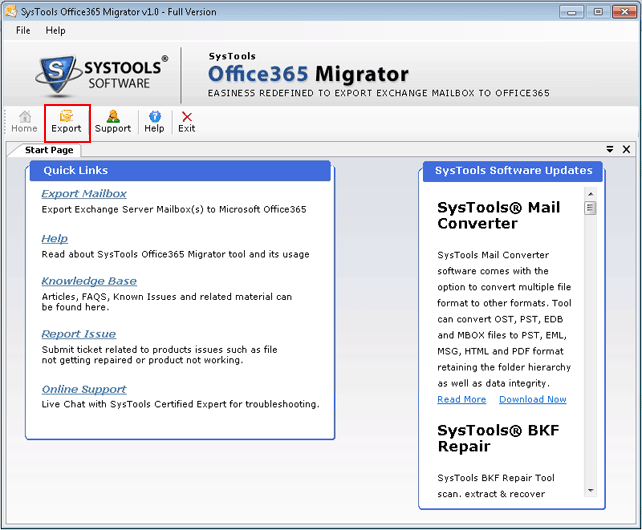 Using this tool, I have migrated various Exchange 2013 mailboxes to Microsoft Office 365. If I talk about the interface, it is so easy that even a novice can access it. I am really thankful to the entire team of developers for such a simplified and helpful technology. Simply amazing! This is the best word to describe my first experience with this utility. It brings forth many modern features like provide an option of selective migration of Exchange 2010 EDB to Office 365 account. The best thing I liked about this program is its ability to keep the data secure throughout the entire process. I would like to recommend this tool to all my colleagues. Kudos! for such an advance thinking.